How would L&D evolve in 2015? Apart from the completeness of the learning journey, what this approach ensures is that there are several data points available to track the progress of the learner and introduce mid-course corrections if needed. The journey for most L&D organizations such as ours in 2015 is going to be a volatile and exciting one. Constant change, preserving the best techniques from the past while reinventing redundant ones would be what would make us stay relevant. Can Drama and Theatre be Adult Learning Platforms? 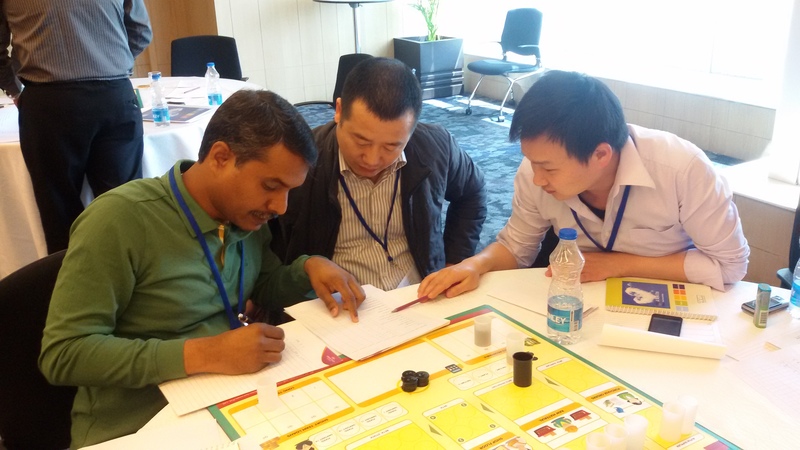 Over the past few years, drama and theatre-based corporate training in India has evolved from role plays, ice-breakers and team-building activities into a serious tool. Companies are using it for everything from behavioral change, leadership skills development, change management to handling cultural and personal issues. “The goal is to lead a participant to a unbiased evaluation of life events and choices that impact their work and professional life,” Watching experiences from outside and discussing them triggers introspection, it is pretty similar to relating to a movie that we love to watch. Team Building with Theatre can be a great way to allow teams to release some tension, change group dynamics and have fun. Using a combination of games and improvisations that can ultimately lead to creating a performance develops great team spirit. It is chance to reveal different dimensions to the team and its members in a safe and enjoyable environment. Storytelling workshops offer techniques to deliver stories and information in a variety of ways that captivate and enthral an audience. It is performance orientated so you get to experience acting techniques and deliver them using your individual skills. It uncovers limiting beliefs, enables group work in a supportive environment and offers exploration of what an audience requires. With the emphasis on telling a story, participants are removed from fear of failure with the focus elsewhere they are released to perform at their best. Conference events can come alive with ideas when using drama – using drama to show rather than tell. Presentations Skills. courses can be organized to use the world of performance and acting to develop Presentation Skills. Working with actors to explore themes such as Customer Service, Dealing with Bullying and many other issues. Called forum theatre, participants instruct the actors how to behave in certain circumstances and then explore the outcomes. Creating interactive role plays for themes such as: Customer Service or Dealing with Difficult People. 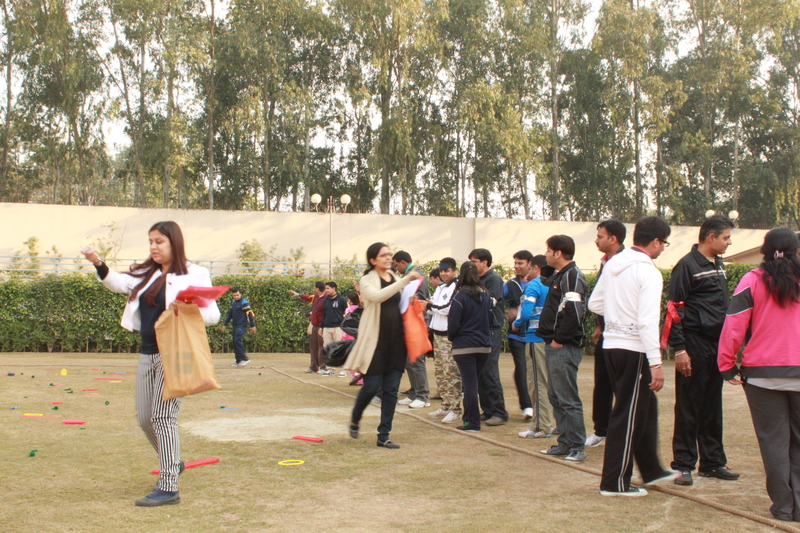 Participants can explore what happens when things go wrong and how to put them right in a safe environment. Progressive organisations are passionate about delivering learning and development that harnesses the diversity, energy and creativity of people towards the common purpose. Drama & Theatre based programs achieve this by finding imaginative and creative ways of helping people learn, develop and adopt positive behaviour at work. Blended Learning – Best Way to Develop Talent? Today, more than ever before, a manager’s ability and willingness to learn from experience is the foundation for successfully leading with impact. How do you become a leader? Consider the 70-20-10 rule that emerged from 30 years of Centre For Creative Leadership’s Lessons of Experience research, which explores how executives learn, grow, and change over the course of their careers. This rule suggests that successful leaders learn within three clusters of experience: challenging assignments (70%), developmental relationships (20%), and coursework and training (10%). assets. They struggle with how to systemize and evaluate a learning strategy that also includes workplace experiences and relationships. 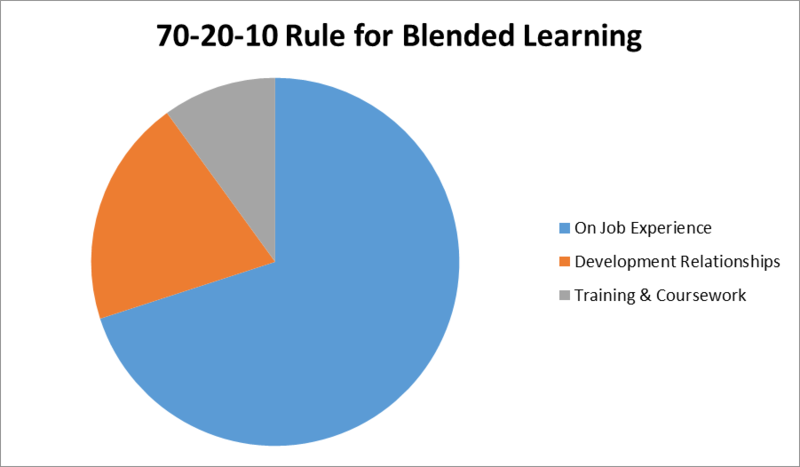 The key to a True Blended Learning approach is a combination of formal learning combined with workplace based or “informal” learning opportunities –addressing all segments of the 70-20-10 rule. The way leaders learn will change dramatically in the next few years. t’s impossible to separate learning from work – nor should you want to. The challenge is to support the learner with appropriate materials, technology platforms, and other “scaffolding” in the critical leadership domains of assignments and relationships on the path to leadership development. Blended learning is not just about technology or mixing classroom with online experiences. It’s not about social media or the latest trends that promise to change the way learning happens forever. It’s about building in a systematic, thoughtful manner, a structure and an ecosystem that enables and encourages learning continuously. It’s about ingraining learning in the very DNA of the organization at as early a stage as possible. Only then would great talent and leaders get created. Leveraging Strengths – Lessons from the Animal School! The duck was excellent in swimming. But he made only passing grades in flying and was very poor in running. The Animal school story is similar to what is widely practiced in our academic institutions and organizations where standardization is the rule and uniqueness goes unnoticed. The predominant strategy of academic institutions and corporate world is overcoming weaknesses while leveraging strengths would bring better results. It is of utmost importance that we consciously promote and adopt ways to leverage strengths which are relevant to the job to promote them effectively. Most of the time, an employee’s talents or strengths need to be discovered, channelized and promoted in the right direction. Individual development plans need to talk about harnessing strengths as much as addressing development needs. A holistic development plan needs to work on dual approach of building strengths and managing development needs. While managers use various tools while trying to overcome development areas, leveraging strengths also needs a structured and consistent effort. The 3X model described below empowers leaders to continuously explore and exploit the unique strengths of team members thus creating a virtuous cycle of personal development and business growth. Exposure – Talent needs to be promoted by providing visibility at the right places. Providing leadership exposure to unique skills and strengths helps build right level of connect and paves way for career development. Expertise – Building on passive strengths by imparting training and coaching on the same to convert it into active expertise. The employees can use their expertise to upskill their team members and peers thus creating and enhancing opportunities of peer and team learning. Experience – Last but not the least, more and more opportunities should be given to exercise the strengths in the form of high impact projects, organization and team level initiatives. A few days back, I was conducting a training session on Inter-personal Effectiveness and we got down to discussing the importance of self disclosure and feedback in building long term relationships. Of course, each of these requires something very basic – establishing trust. Trust has been the backbone of successful communication for all eternity. 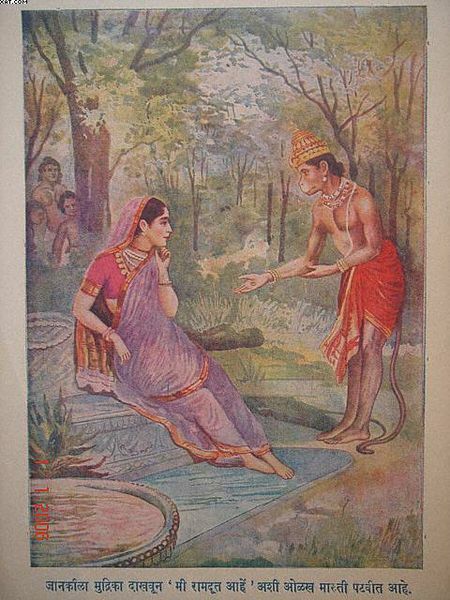 Consider the Ramayana – Hanuman’s first meeting with Sita in Ashoka Vatika after she was abducted. Establishing trust with Sita was crucial for any communication to even begin. Hanuman knew that he would not be taken at face value so he had to establish his authenticity. He first started talking about Shri Ram – a subject dear to Sita. Hanuman praised Sri Ram and gave details of Lakshman to gain acceptance with Sita. Sita softened towards him and started paying attention – but she still had her doubts. He then went on to describe her abduction in detail to her – information that a rakshak would not have had. And finally he used his trump card – the ring given to him by Shri Ram. To establish trust, discuss a subject close to the other party’s heart. Wait and watch his response. Has he become more open to sharing or listening or is he still closed? Share information and proceed the conversation only once the other party gets interested and (maybe) concerned. You don’t want to give offence, so proceed with caution. Finally, show your best card when you have won the other party’s trust completely. Offering everything right away may be viewed as interference or desperation or worse, a lie. Wait for credibility to be established.